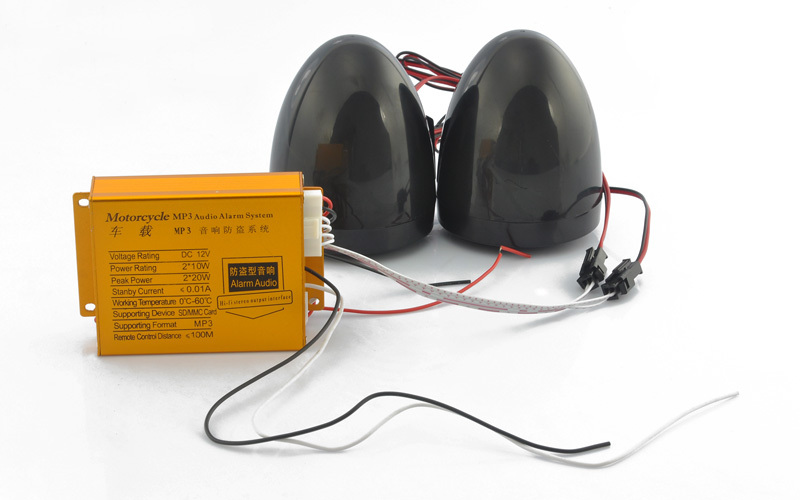 Anyone that tamper or intereferes with your motorcycle when the alarm is set will be greeted with a loud alarm capable of discouraging theft. In addition, we at Chinavasion are big supporters of safety as well as entertainment. This motorcycle anti-theft system with MP3 player is an ideal accessory to help with today’s easy riders. With the risk of theft of your motorcycle always in the back of your mind this wholesale priced electronic anti-theft device comes with all the attachments ready to be fitted. This device allows you to play your music via the USB or SD card slots that are available and listen to the beats. 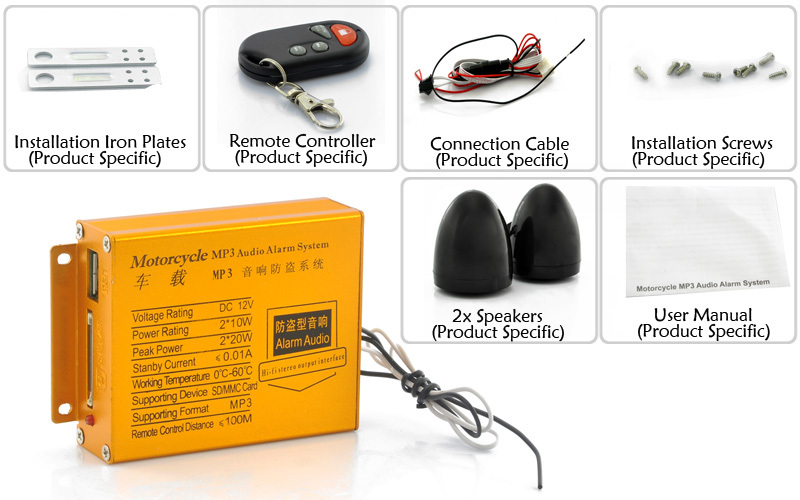 The remote control that accompanies this product not only turns the alarm on and off but also controls the volume and tracks for the mp3 playing functions. The anti-theft device can also pick up radio so you can find out how the traffic is before the long journey. If your motorcycle is your pride and joy and fear that someone else might one to take your treasure Harley, Suzuki or Kawasaki, then this is the product for you. 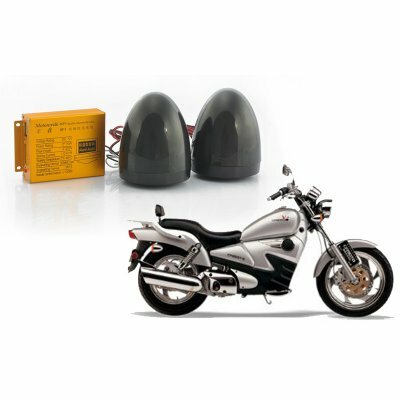 Motorcycle anti-theft system with MP3 player abilities is the ideal security solution to always protect your motorbike where you park it! 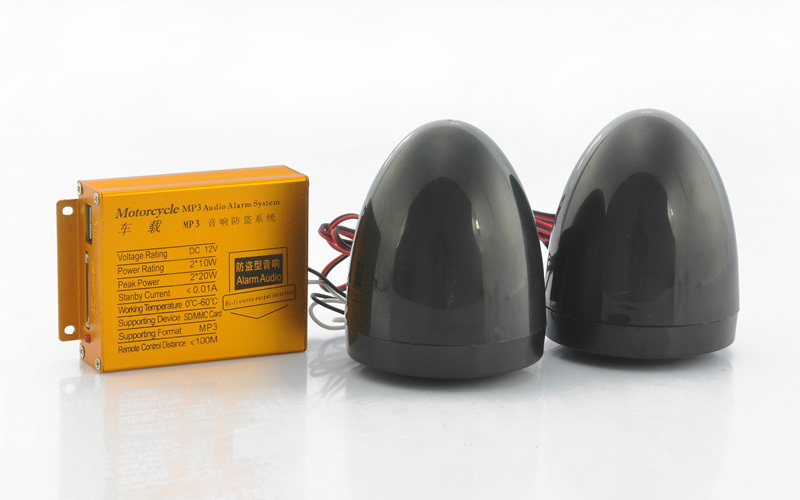 It is also brought to you at a factory-direct price by the online leader in security devices and electronics.